Hacker in hoodie typing code in program using laptop in dark studio. White Display. 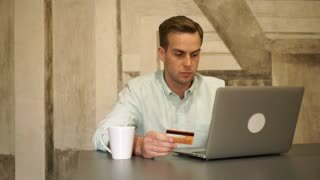 4k closeup video of hacker holding credit cards typing code on laptop. 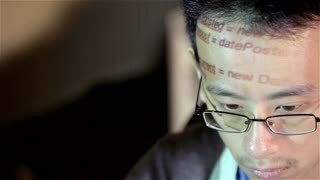 Man using computer at night. Perfect for cyber crime. Close up hands of a cryptocurrency specialist monitoring mining process typing code on a keyboard. Close up view of typing code.